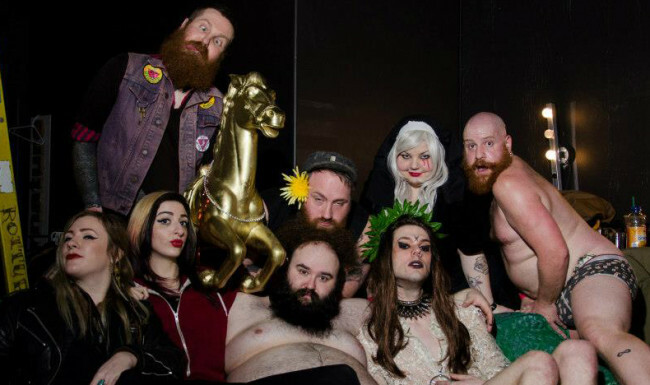 THE IDEA OF BLOWPONY WAS CREATED BY HOMO & ACTIVIST AIRICK X, THE COLOR AND GLITTER WAS ADDED BY: CHARLEY SHARPS, HEATHERETTE, AUSTIN DARLING, CHELZ, GRANT, JUST DAVE and OX! CREATED DUE TO A CALLOUT IN OUR QUEER COMMUNITY FOR UNITY AND A PLACE WHERE ALL OUR SISTERS, BROTHERS, OTHERS AND ALLIES FELT SAFE, WELCOMED AND LOVED, WE’VE BEEN RIDING STRONG SINCE 2007! OUR CONCERNS ARE EARTH LIBERATION, ANIMAL LIBERATION, QUEER LIBERATION, WOMENS LIBERATION, TRANS LIBERATION, INDIGENOUS PEOPLES LIBERATION and SEARCHING THE DUMPSTERS FOR MORE TRASH!…..